The history of golf in the Olympics is brief, despite the fact that it stretches back to 1900. Which golfers have won gold, silver and bronze medals in the Olympic Games? Golf has only been part of the Olympics three times: in 1900, 1904 ... and again in 2016. The 2020 Summer Games in Tokyo are also scheduled to include golf. After that, the International Olympic Committee will assess and determine whether golf will remain part of the Olympics. Of the medals awarded thus far to golfers in the Olympics, the United States has won 11, Great Britain three, and Canada, Sweden, Korea, New Zealand and China one each. Of the six gold medals awarded to date, three went to United States teams or individuals and one each to Canada, Great Britain and Korea. Here's a look back at golf's Olympic history, including the 1904 Summer Games and 1900 Summer Games winners. The 2016 tournaments was played Aug. 11-14 for the men and Aug. 17-20 for the women. Only individual medals were awarded, no team medals. The fields were 60 golfers each for the men and the women, with dozens of countries represented. The tournament was played at Rio's Olympic Golf Course. On the women's side, Inbee Park carded three rounds of 66 and a fourth of 70. She won despite not having played on the LPGA Tour in two months due to injuries. Park's winning margin of runner-up Lydia Ko was five strokes. On the men's side, Justin Rose and Sweden's Henrik Stenson, both major champions, battled throughout the final round. The lead was never more than one stroke, and they reached the final hole with Rose holding that 1-stroke edge. And Rose essentially won it with a 40-yard pitch shot to the final green that settled three feet from the cup. He rolled in the short birdie putt to finish off a final round of 67 and complete the tournament at 16-under 268. Golf was absent during every Olympics that took place from the 1908 Games through the 2012 Games. The 1908 Summer Games in London, England, were supposed to include golf, and some golfers traveled to the site to participate. But the tournament was canceled very late when organizers couldn't agree on the format. The International Olympic Committee voted in 2009 to bring golf back to the Summer Games for a 2-Games test run, in 2016 and 2020. The 1904 Summer Olympics were held in St. Louis, Missouri. This was the second Olympics to include golf, but golf was dropped following the 1904 Games. The tournament took place at Glen Echo Country Club. While 77 golfers participated - a major increase from the 22 who played in the 1900 Olympic golf tournament - those 77 golfers represented only two countries. Seventy-four of the golfers were American and three were Canadian. Medals were awarded to individual men and to men's teams. There was no women's tournament in the 1904 Summer Games. In addition, because only two countries participated, multiple teams representing different golf organizations within the United States were allowed to compete. That is how all three team medals wound up going to American teams. 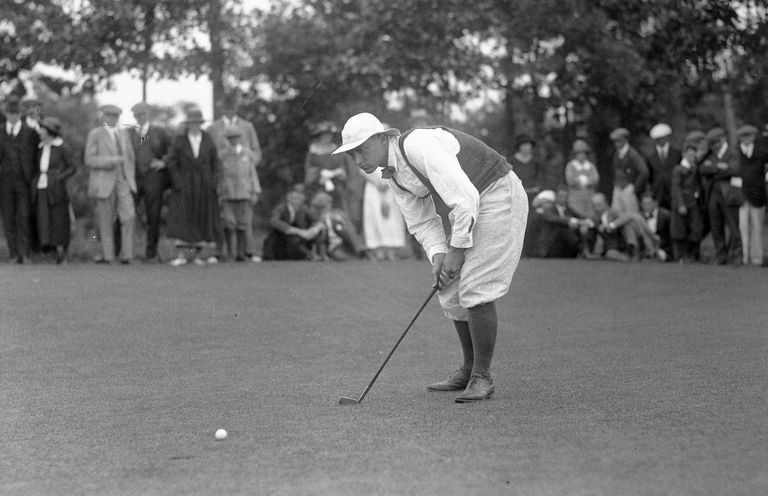 Gold medalist George Lyon was an 8-time winner of the Canadian Amateur Championship, first in 1898 and last in 1914. He later won 10 of his country's senior amateur championships. Silver medalist Egan was probably the most accomplished golfer to participate in golf's early Olympic history. He won the U.S. Amateur Championship in 1904 and 1905, and was a four-time winner of the Western Amateur. He later became a respected golf course architect whose work included the design of Eugene (Ore.) Country Club and a renovation of Pebble Beach Golf Links. The Summer Olympics in 1900 were held in Paris, France, and included golf tournaments for men and women. Medals were awarded to individuals only (no team medals). 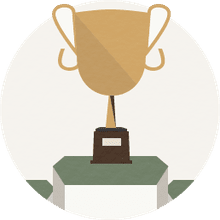 "The 1900 Olympic Games were not even called that by the organizers of the sporting events; they preferred the name 'Championnats Internationaux.' ... (Y)ears later, many of the victors did not even know that they had competed in the Olympics." A total of 22 golfers participated, representing four countries. Only France, the United States, Great Britain and Greece had golfers present. The tournament was played at the Compiegne Club. The men's tournament consisted of 36 holes of stroke play while, while the women's tournament was only nine holes of stroke play. The 1900 Summer Games in Paris mark the first time golf was included in the Olympics. Sands, at the time of these Games, was the head golf professional at St. Andrews Golf Club in Yonkers, New York. He also participated in two Olympics (1900 and 1908) in tennis. Abbott has the distinction of being the first-ever American female winner in any Olympic sport.